Hi All, my name is Rita Lorraine Hubbard and I’m a former 20+ year special educator with an advanced degree in School Psychology. 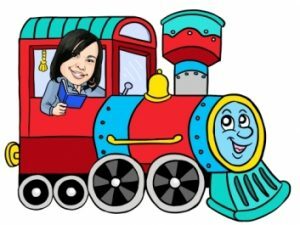 I am currently a full-time children’s book writer, offering tips to aspiring writers at my personal blog, Rita Writes History, which has attracted over 900,000 unique visitors. After reviewing books for a colleague’s review website for three years, I founded and now manage Picture Book Depot, a children’s book review website that enjoys a global audience and offers free books to children. In 2014, I received two wonderful awards: the East Tennessee Community History Award, and the SCBWI Letter of Merit for my middle grade WIP (Work-in-Progress), a multicultural novel called THE MAN WHO SAW EVERYTHING. 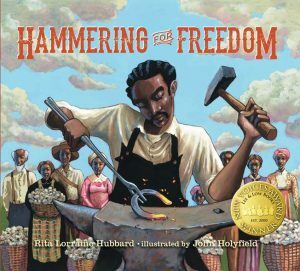 In 2012, I became Lee and Low Publisher’s New Voices Award Winner, and my winning picture book manuscript, HAMMERING FOR FREEDOM, debuts in September 2018. Here’s the cover image and a link to PRE-ORDER. 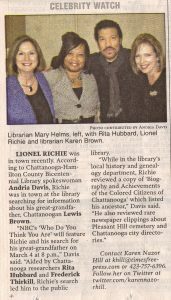 In 2010, I served as Lead Historical Researcher (Chattanooga Unit) for NBC’s “Who Do You Think You Are” series, featuring the life of megastar Lionel Richie (whom I got to meet — he’s fabulous, and such a gentleman!). My article, “How to Get Going on a Grant Application” was assumed by For Dummies® online, and I wrote and co-produced the global short film An Entrepreneur’s Heart for Cinema Prosperite’ Film Competition in 2009. Here is a sample of some of the work I’ve done. 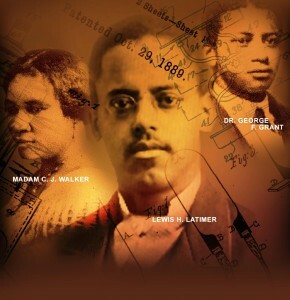 FYI: My first nonfiction reference book African Americans of Chattanooga: A History of Unsung Heroes (shown above) was published in 2008. You can get your copy by clicking on the icon. My second book, a vocational title called Getting a Job in the Food Industry. This is my first “work-for-hire,” and it took me six months to write. The company is Rosen Publishing, and to be honest, I think they did a fabulous job with packaging. I’m proud to have my name associated with their company. My third and fourth book (shown above) were a personal challenge for me. I wrote them back-to-back in approximately five months, and I’m very pleased with the outcome. The MOOC book discusses the various FREE online courses that are just waiting for you to enroll. And the HEALTH CARE book discusses the various choices you have if you decide to enter the health care profession. January 2016: I penned a book called Playwriting: Exploring Theatre, published by Cavendish Square. More information to come! Fall, 2016: Random House Books just purchased one of my picture books. The official deal will be posted in PW (Publisher’s Weekly). When that happens, I will include the information here. When I’m not writing or researching, I split my time between working on small editing projects and searching for the next bold and beautiful picture book to review. Thanks for visiting The Black History Channel, and thanks in advance for your support!